At Raven Truck Accessories, each of our locations has a full service installation shop. With 7 shops located in Alberta and 3 in BC, we can help you build your dream ride. Our installers are not only professionals; they are also enthusiasts and have a passion for customizing vehicles. Call for an appointment today. Take a look at our Install Gallery to view our work. You can view the entire gallery or sort it by vehicle make. If you have any questions about a particular photo or installation, please contact us. Our goal is to give you stellar, unforgettable service so that you’ll return to us again and again as we help you to create your dream vehicle. 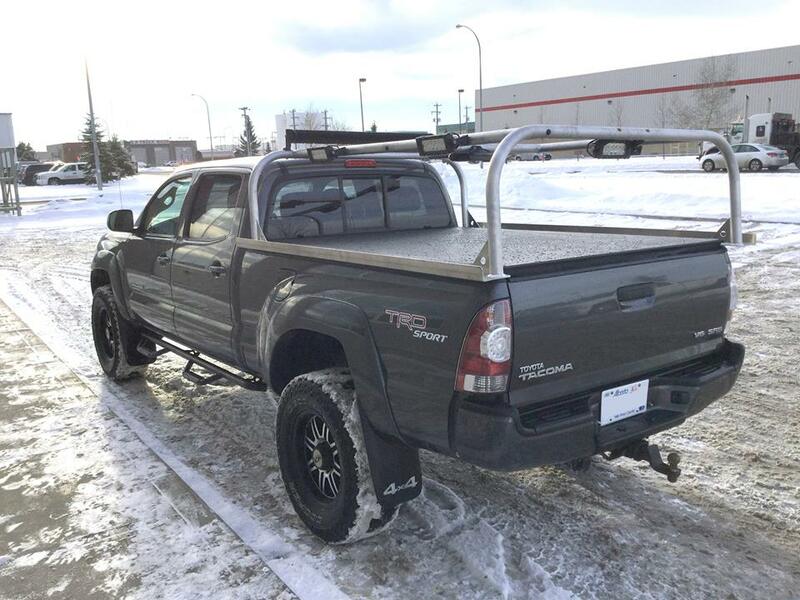 Accessory installation available for lighting products, tonneau covers, truck caps, side bars, winches, hitches and much more..
We specialize in equipping fleet vehicles with the necessary equipment for the job while keeping it legal on the road. Wheel and tire mounting and balancing service. Plus tire repairs and rotation. The thick coating protects against scratches and dents and helps to prevent rust. Available for truck beds and accessories. In-house creative design, efficient production and expert installations available for vehicle wraps, window graphics. Plus Paint Protection Film and Window Tinting. Accessory service, repairs and warranty support available on the brands we carry.